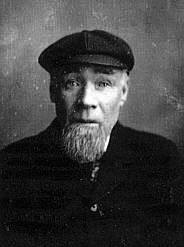 Bob Ferguson was born in Musselburgh in 1848 and died in 1915. He was the greenkeeper, and free-lance pro, at Royal Musselburgh and winner of the Open Championship in 1880, 1881 and 1882. He was also runner-up in 1883. His career was cut short by an attack of typhoid. With Peter McEwan he designed the Braid Hills course in Edinburgh.